Display vertically or horizontally (portrait or landscape) . Standard & custom sizes from 4×6″ to 27×41″. 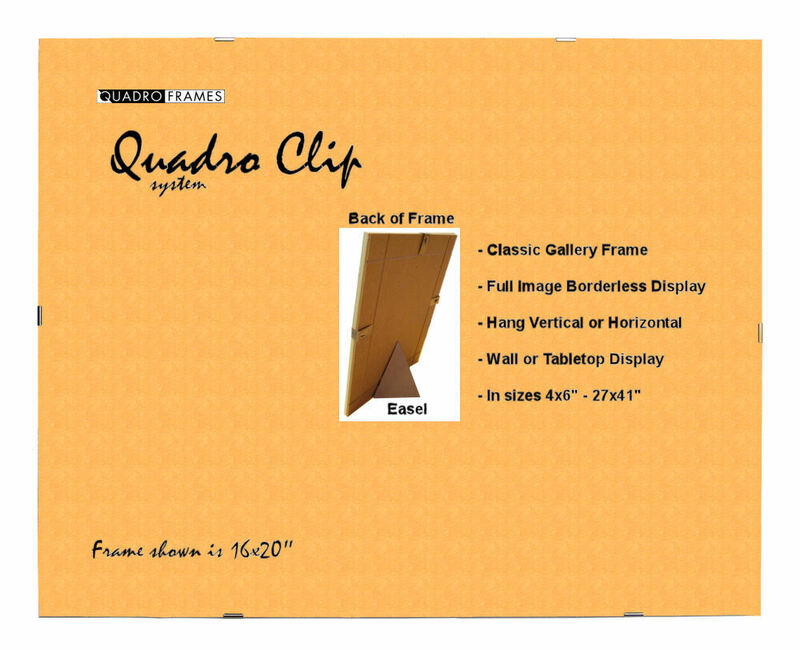 Ultra-secure, fully adjustable European sliding clip system. Accepts two 4-ply bevel cut mattes. 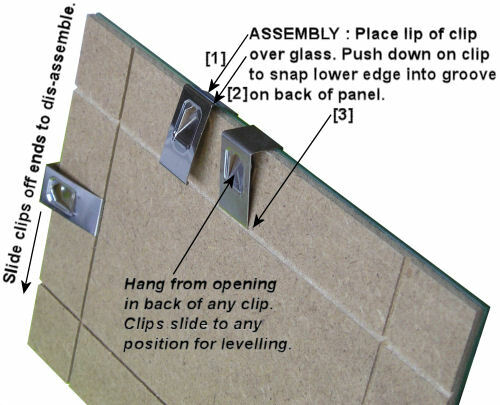 Backs – 1/8″ Medium Density Fiberboard (MDF) smooth both sides. 2mm. ground and polished edge glass. 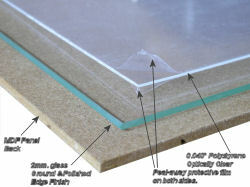 0.035″ Optically clear styrene, peal-away protective film on both sides. Visible from front approx. 3/32″ high x1/2″ wide. 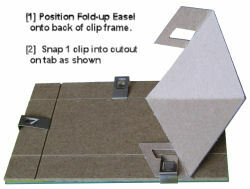 Complete frames kits are offered in sizes from 4×6″ to 27×41″. 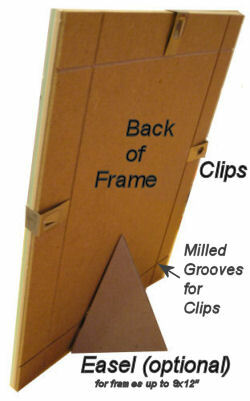 Frame kits are complete frames with backs, glazing panel (glass or plastic) and all hardware. Custom sizes to 27×41″. Minimum quantities apply on custom sizes.